Using ultra lightweight alloy the Trangia 25K is now 18% lighter than the original version. 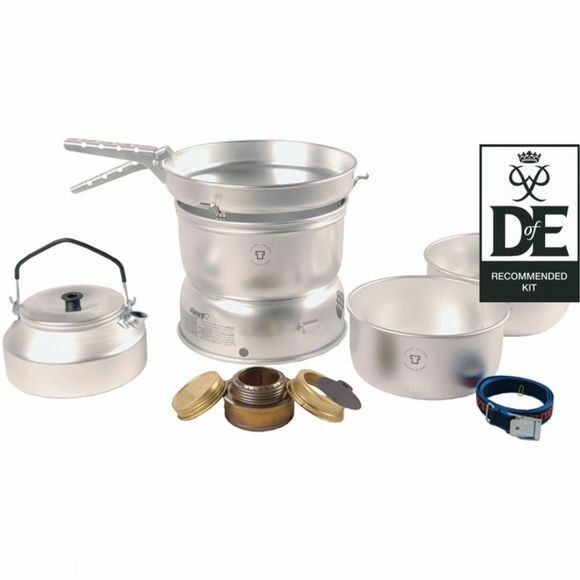 Suitable for groups of up to 4 people and comes complete with a meths burner, a windshield base, handle, strap, 2 saucepans (1.75 and 1.5 litres) a 0.9 litre kettle and a 22cm frypan. Weight 1055g.